Death is probably the last thing any of us want to think about, but it may be time to start thinking about your last will and testament. Proper estate planning is essential to making sure your possessions are properly distributed upon your death. Estate planning laws vary from state to state. In general, when someone dies without a will (known as dying intestate), the state will distribute possessions according to predetermined laws. Writing a will can give you more control of this process. Continue reading to find out why you should write a will right now! Within your will, you should appoint an executor to your estate. This is your legal representative who will locate and oversee your assets following your death. If you have valuable assets, it may be important to choose the right executor. This person is responsible for estimating the value of your assets, paying off taxes and debts from the estate, and filing your personal income taxes. Once all taxes and debts are taken out of the estate, the executor will assist in distributing the assets to your beneficiaries. Often, people choose an attorney or bank to act as executor, but you can choose a family member or friend. In either case, acting as executor is a lot of work. You should consider leaving a portion of your assets to the designated executor. Perhaps the most obvious reason you should write a will is to establish who receives your assets upon your death. These people are your beneficiaries, and you may already have a few in mind. 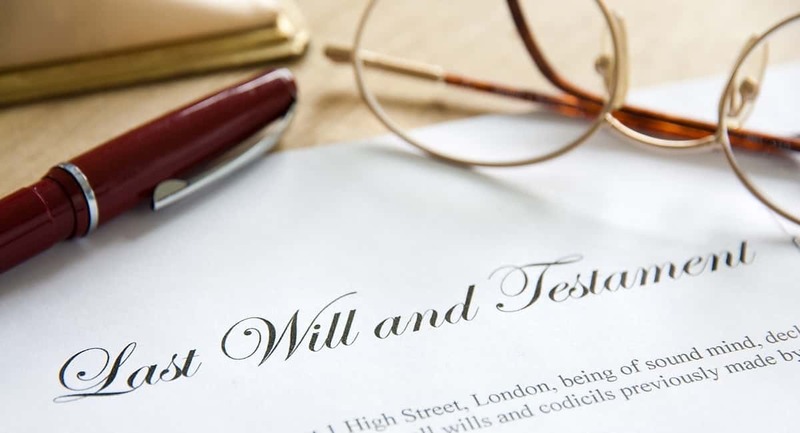 If you were to die without a will, the government would take control of your assets and distribute them according to state intestate succession laws. The courts will designate an executor who will equally distribute property amongst your heirs. Leaving this huge decision up to state laws may not be ideal in many cases. The probate process is lengthy as it is. It’s best to decide before you die who you want to receive which assets. For example, you may wish to leave a portion of your assets to a lifelong friend. If they aren’t a close family member, they won’t receive any of your assets under intestate succession laws. If there’s anyone you want to be excluded from receiving portions of your estate, you can include that in your will. What is one of the biggest issues facing those who are considering drafting a will? Their children. What happens to your children if you die unexpectedly? You may have asked a close friend or family member to look after your minor children, but what if there’s a disagreement? Having a last will and testament will ensure your children are well cared for. You can assign a guardian to your children in the event of an untimely death. If you fail to do so, the courts will decide for you. If you die without a will, the courts will evaluate your closest family and friends to determine who’s best-suited to look after your minor children. Keep in mind you don’t need the other party’s permission to name them as a guardian. You may choose to name several people in order of preference. This helps in the case someone can’t take on the role. Having a will ensures your own wishes are seen, heard, and respected. If you don’t have a will, there’s no way the courts will know you want your money or assets donated to a particular charity. In fact, it won’t even be a question. If you want to donate to any charity following your own death, you need to write it into your will. To some, this is a good last way to give back to the community and make sure the money goes toward a good cause. A good portion of family businesses won’t make it past the first generation. The main cause of this is the lack of estate planning. If you own a small or even large enterprise, you want to make sure your company can transition smoothly. Having a last will and testament will make sure your business changes ownership effectively. If you don’t leave a will, your business could end up in the hands of people who might not want it or might be unfit. Do you want to leave it to a specific child? Do you want to transfer your shares to one or multiple business partners? Put it in your will. The death of a loved one can be an emotionally trying time for anyone. When you die, your family and friends are going to be caught up in the emotions of it all. They don’t want to have to think about probate and intestate succession. Having a last will and testament can relieve some of that emotional stress. Work with a good will attorney to make sure your wishes will carry over after your death. While your family may not be one to fight often, deaths and valuable assets can bring out the worst in people. Drafting a will gives you an opportunity to make sure your family and friends follow your wishes. You may think it’s too early to start thinking about death, but it’s never too early. The future is unpredictable, and you could die at any given moment. Call up your attorney and write a will. You can always modify it at a later date if you wish. The above article gives only some reasons to draft a will. To learn more about just about anything, visit here and keep yourself occupied for hours.